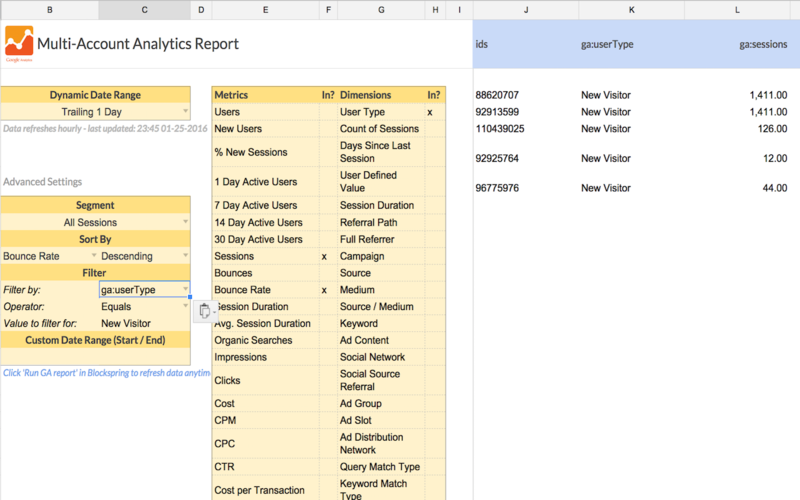 If you work with a lot of Google Analytics accounts, this template lets you query all of them in a single report. You'll be able to set up metrics, dimensions, sorting, filtering, and even custom segments. This template also refreshes automatically every day to keep your report up-to-date. This template will query approximately 300 accounts at once.